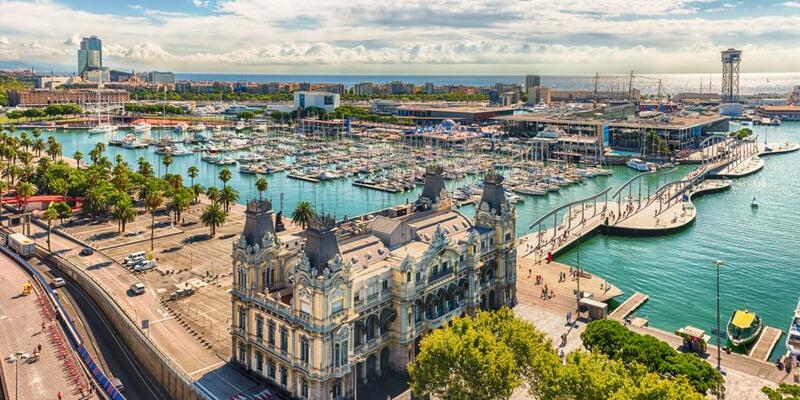 This epic Spanish road trip starts in the Catalan capital - Barcelona. 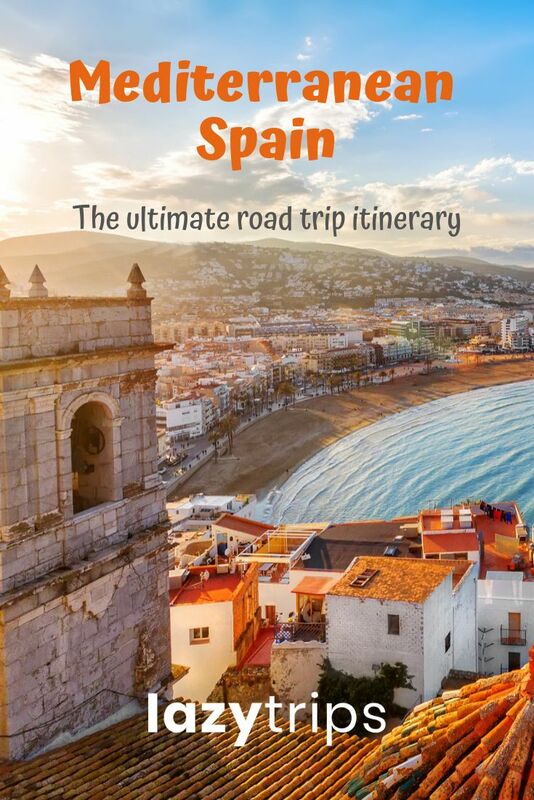 One of the best things about going on a road trip to Spain is the weather - check out the best time to visit Spain to pick your month of travel. Catalonia is beautiful and captivating all year round - so get ready for the adventure of a lifetime. If you've arrived with your own car, our advice is to park it up for a few days at the nearest underground car park as you won't be needing it around town. If you plan to hire a car, don't bother picking one up until day 3. While there is ample parking around the city, much like most of Spain, getting around on foot or using the relatively cheap metro system is a lot more convenient and relaxing. There's a huge choice of hotels and villas to stay in when visiting Barcelona, some of them considerably more expensive than others. A top tip is to stay somewhere within a short walk of the main sights such as La Rambla and La Plaza Real and near the old port - this is where you'll be spending a lot of your time and where the best restaurants in town are. I would highly recommend the Onix Liceo - it's located in the Gothic Quarter, right near Las Ramblas, the city centre and the Old Port. It's really good value for money too - especially for somewhere so central. If you're looking for the perfect hotel to stay at in Barcelona, this is it. 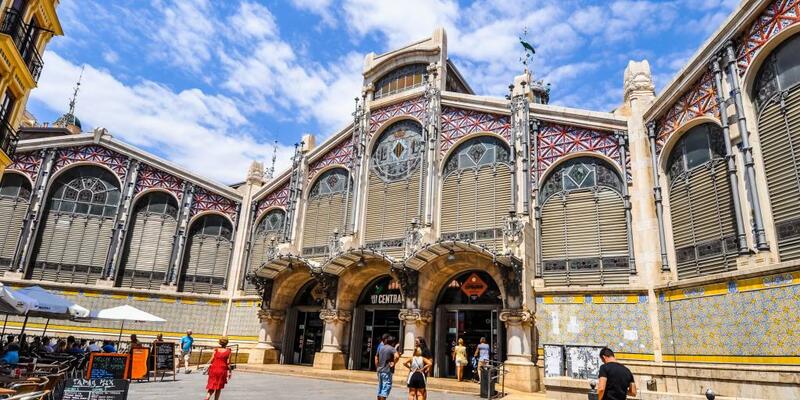 The majority of car rentals are really close at the Placa dels Paisos Catalans so this is handy for getting your Spain road trip underway on day 3 as you can just walk across with your bags. Having checked into your hotel and dropped your bags off, it's time to go see what this crazy (in a good way) city has to offer, so head on down towards the Plaça de Catalunya at the top end of Las Ramblas. 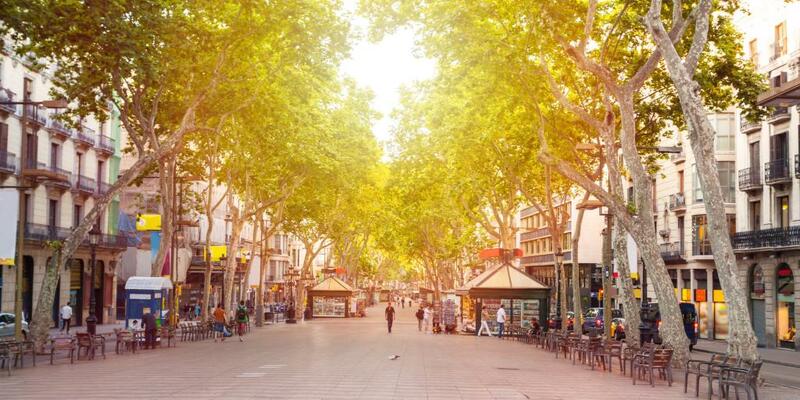 The two streets and the wide promenade in-between are the true heart of Barcelona. Street artists line the pavement, eager to do a caricature of you, while street dancers, human statues and various other forms of entertainment vie for tourists' attention. The first day is always a great opportunity to relax before your Spanish road trip really gets underway so take your time as you stroll around. Walk halfway down Las Ramblas until you get to the Liceu metro station and turn left into the Gothic Quarter, the ancient part of the city which forms the main part of the Old Town. One of the first things you'll see is the Barcelona Cathedral. This majestic dark stone structure is a beautiful example of fine Gothic architecture and - miraculously - seems to be somewhat off the tourist radar, making the visit that much more peaceful. As you wander around the twisting streets of the area, head towards the sea until you reach Port Vell. This marina used to be the busiest trade port of the region and today serves as a yacht harbour. Here you'll see a large brick building which houses the Museu d'Història de Catalunya, which gives a somewhat unique perspective on the region's continuing fight for independence as well as the history of the Catalonia's relationship with other parts of Spain. For a spot of late lunch just before you go into the museum, you can't do much better than walk into the small Barceloneta district right behind the building. 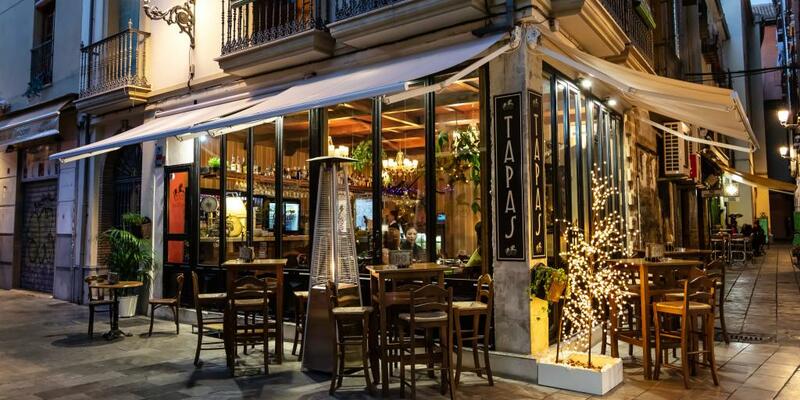 Here you'll find a large number of bars and restaurants with all manner of Catalan tapas on offer. Barcelona has a famously fabulous dining scene, and there's a multitude of outstanding restaurants dotted around the city to choose. 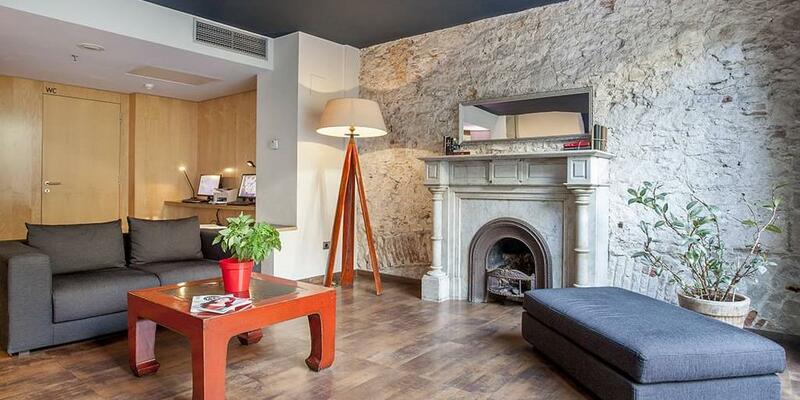 The majority of these are located within walking distance of Las Ramblas, with a few further afield. If you fancy some fish and a romantic table in the cool evening sea breeze then return to Port Vell and pick one of the dozen restaurants serving the freshest seafood in town. I know you're probably thinking that it's time to get going on your Spain road trip, but Barcelona is worth spending a full day after your arrival - you'll be very glad you did! 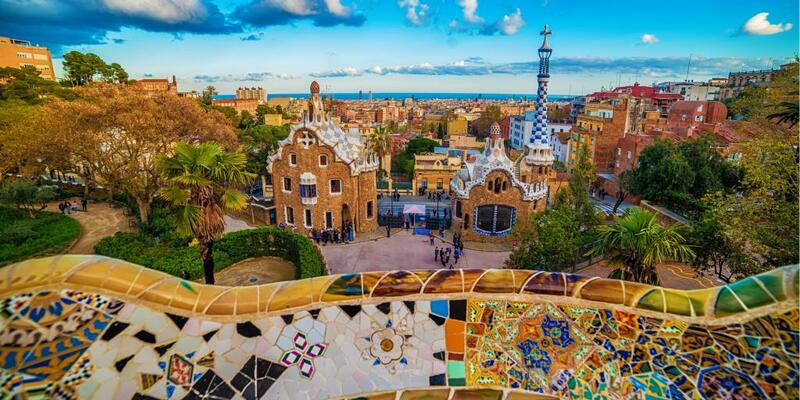 Your second day in Barcelona is perfect for a stroll around town taking in some of Gaudi's most famous sights. The key sights are relatively close to each other and all of them are not too far from your hotel, so it will be an easy walk! Begin the morning in style and find a traditional café on your way to Passeig de Gràcia. As you make your way through town, you will notice that most street crossings in Barcelona form octagonal squares and these are the best place to equip yourself with some bakery produce and fresh orange juice. If you're feeling peckish, you can indulge in one of the famous crêperies. 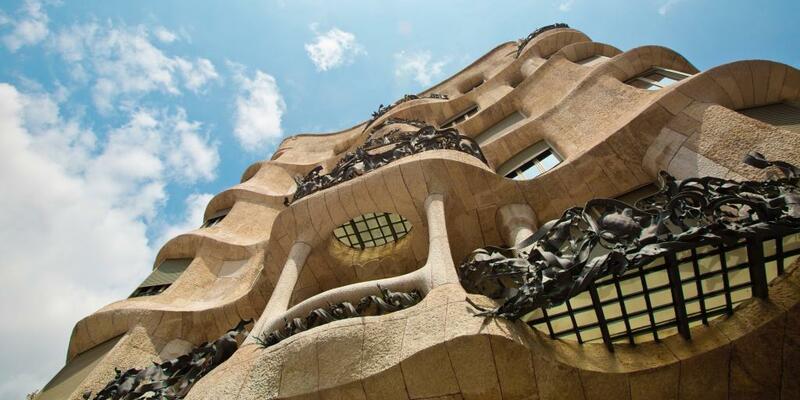 The first stop on your route will be the Casa Milà on Passeig de Gràcia. 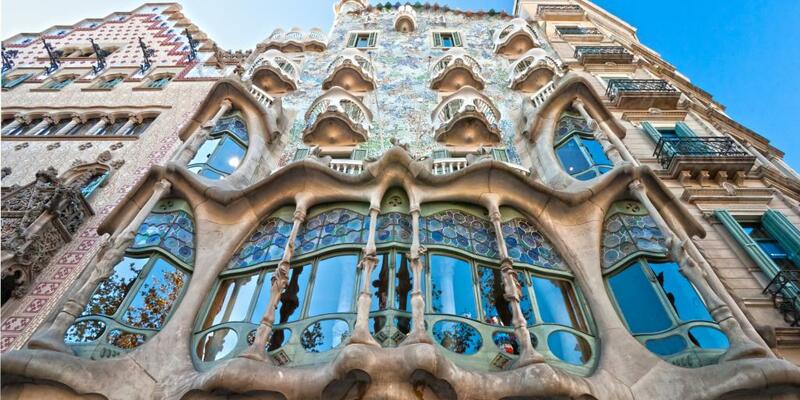 This famous apartment building was designed and built by Gaudi. Just as impressive on the inside as the outside, it's worth going in to see the layout of the skeleton-like structure and get a good view of Barcelona from the wavy rooftop. Once you're back outside, head north east on Carrer de Provença. Keep going in a straight line over the Avinguda Diagonal and you will very soon see the Sagrada Familia. This truly unique Gothic Cathedral is still under construction, with decades of work yet to be completed; nevertheless, it's one of the most unique and jaw-dropping cathedrals in the world. The amount of detail on the facades is astonishing, and everything from the interior decoration to the columns, towers and the naves is unlike any other in the world. You won't see another cathedral like it on your road trip through Spain... or anywhere in the world. 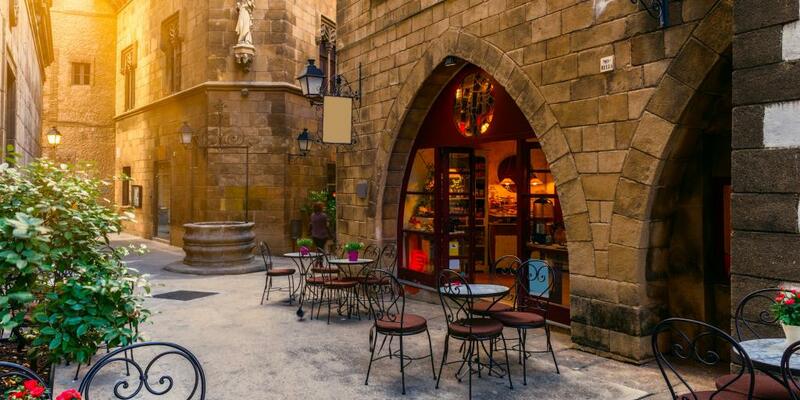 It's worth sitting down in one of the nearby coffee shops for a moment or two to take in the magnificent sight and do a spot of people watching before carrying on with your Barcelona tour. Your next stop is the famous Park Güell, which is just a short walk up the Carrer de Sardenya. It's free to enter, so be prepared for crowds if you plan to visit over the weekend. Once you're inside, have a wander and explore all the bizarre ins and outs of the park. Everything from the asymmetrical houses by the main entrance through to a large pagoda inside was born in the mysterious depths of Gaudi's brain. Indeed, he used to live in one of the houses on the Park's grounds and frequently relaxed here himself. Be sure to walk to the highest point for fabulous views over the city. You could spend hours discovering new bizarre things in Park Guell, but at some point your appetite is sure to kick in. Lunch options are fairly broad around the area, with a number of great restaurants located nearby the park. 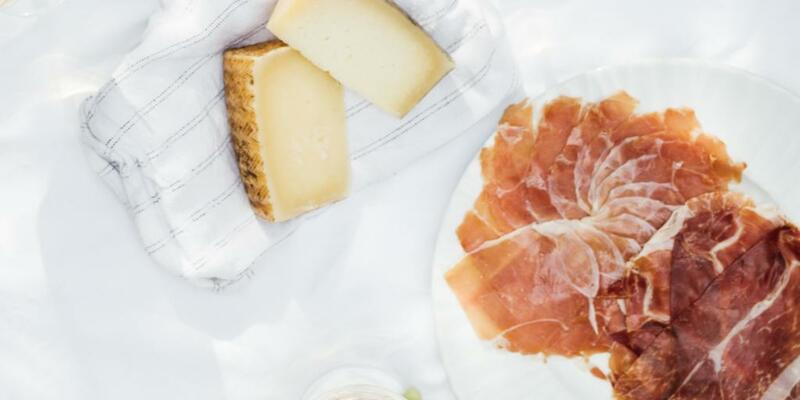 Alternatively, you can learn from the locals and stock up on some local Iberico ham, bread, olives and cheese and have a picnic in the warm sunshine somewhere within the park. Remember that Day 3 is when the Spain road trip properly starts and if you are going to stop for a picnic on the way to Valencia, plan ahead to not eat the same packed lunch two days running! As the afternoon passes by and dusk approaches, it's time to head over to the last sight of the day - Mount Montjuïc, right across the other side of town. The walk will take about an hour and a half, although the metro option is fairly straight-forward with a direct line from the Lesseps stop nearby to Poble-sec at the foot of the Montjuïc Park. Be sure to climb to the top of the hill, where a number of monuments built for the Olympics are dotted around the green park. 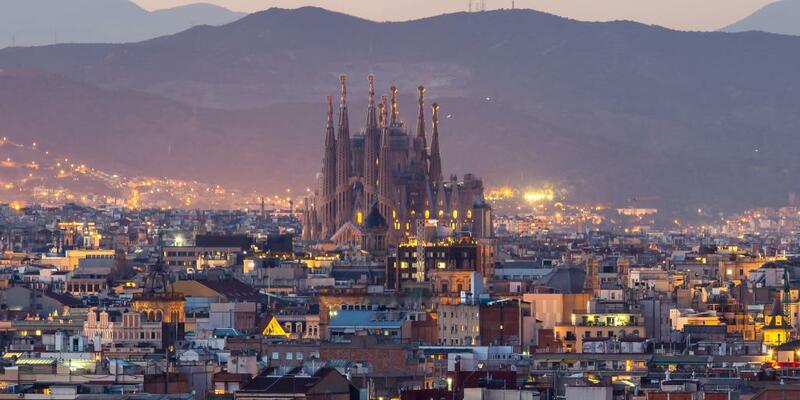 The views over the city of Barcelona are spectacular from here, so spend a few minutes figuring out where you've walked and finding your hotel roof. If you walk on a little further, you can see past the Barcelona bowl and map out the route for your Spain road trip first leg towards the mountains in the distance. On your way down, make sure you pass the Montjuïc Fountain to watch the water and light display that takes place every half hour starting from 7pm - it's worth it. Note that the shows don't happen Monday to Wednesday, so plan your route accordingly. By the end of the display you will be ready for a hard-earned spot of relaxation before freshening up and heading out to town for food. Perhaps a hearty steak dinner? Wake up, have some breakfast and check out of your hotel. This is a road trip after all, and it's time to hit the road! Once you've loaded your luggage and set up the navigator, drive inland. 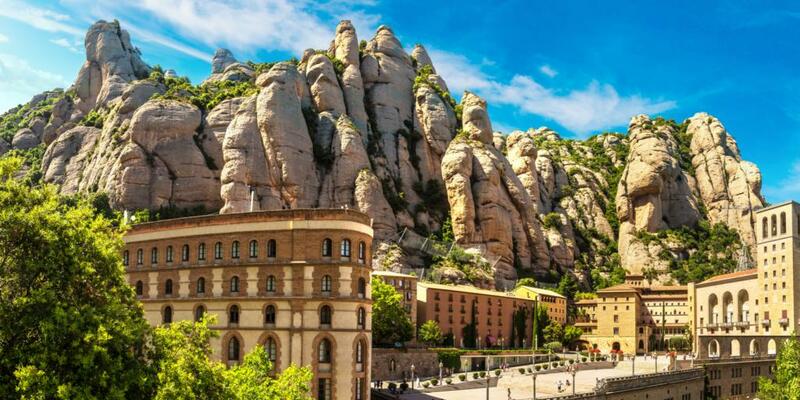 The first stop on your Spain road trip itinerary is the majestic Montserrat Monastery. This unbelievably beautiful secluded establishment - home to Benedictine Monks - is perched atop a picturesque mountain in-between two peaks. Here, you will see stunning interior decorations and a number of highly prized religious relics. Driving-wise, you have a choice of going up the mountain and parking close to the Monastery, or parking at the bottom and taking the train. The train provides great views down the mountain and of the Monastery itself, so that's our preferred option. Beware that if you choose to park at the top, you will still have to walk a fair bit uphill to get to the monastery. The drive to Valencia along a toll road will get you there in around 3 and a half hours and is a perfect way to kick off the driving on your Spain road trip. If you want to stop for lunch along the way, your best bet is to stop in Tarragona soon after you get to the coast on your way south. The majority of other towns along the route are fairly uninteresting, with a score of high-rise hotels lining the shore and a distinct lack of restaurants and views. Tarragona, however, is an ancient city rich in history and culture. A decent range of restaurants in the town centre will offer plenty of choice before you jump back on the AP-7 on your way to Valencia. If you have time for a detour, hop off the motorway (remember - you'll have to pay the toll!) 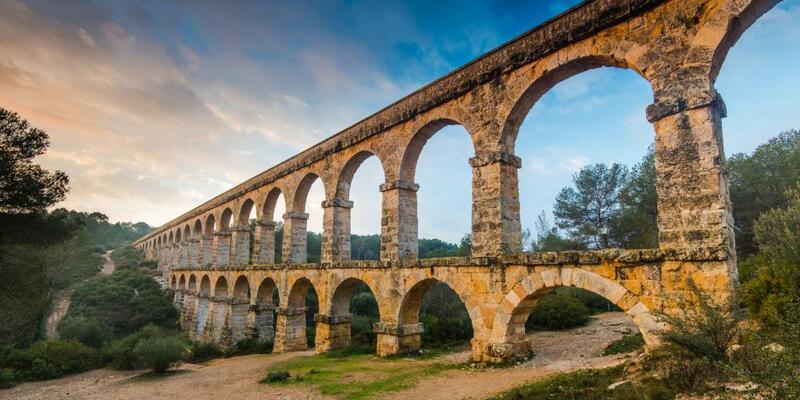 and check out the Pont del Diable - the Les Ferreres Aqueduct is right by the Tarragona junction. If you head into the city, there is a large amphitheatre and ruins of a Roman Forum to see. As you arrive in Valencia, you will notice that the city's Old Town is strikingly different to the rest of the city. The city centre is confined by a river to the west and a long green park that also used to be a riverbed before the river was diverted in the fifties. As with most Spanish cities, vast numbers of affordable underground car parks are provided, so find one near your hotel and dump the car for two days as you won't be needing it to get around. Now that you're travelling by car, you'll want to pick a hotel with parking or somewhere nearby a car park. 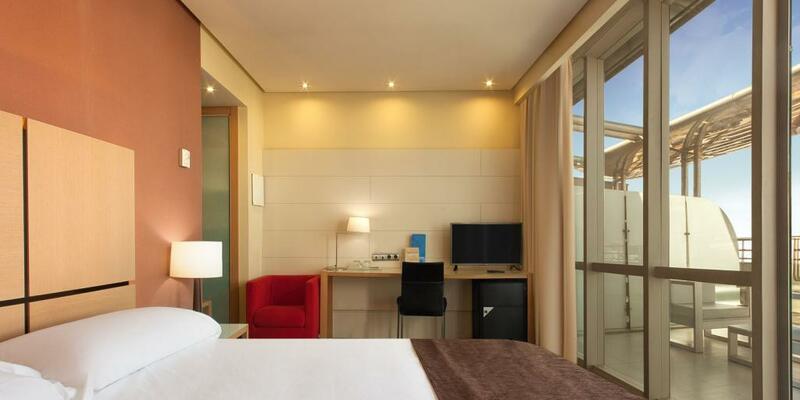 Silken Puerta Valencia is a sleek and modern hotel with super comfortable rooms and the perfect location on the east side of Jardin del Turia. It is easy to drive to from the V-21 and it has FREE on-site parking, which is ideal for road trippers. The rooms are super reasonably priced (especially compared to other hotels nearby) and the breakfast is truly outstanding. With only one full day to be spent in Valencia, you really ought to get yourself out of bed at a reasonable hour and head into town for some traditional Valencian breakfast. Make your way towards the Mercado Central in the heart of the city (it's a 30 minute walk or a 25-minute bus ride) and stop in a cafe along the way for a couple of churros (traditional doughnut-like treats) and a coffee or a large glass of blood orange juice. 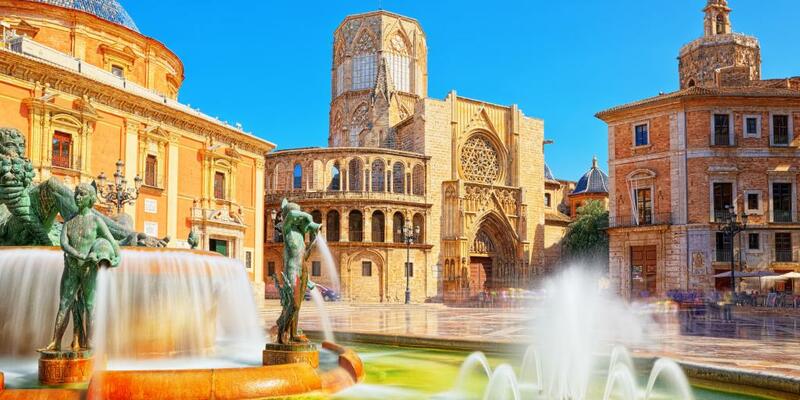 The town of Valencia is miraculously unpopular with tourists - which makes it a very appealing Spanish road trip destination! Compared to most other Spanish cities, you will rarely see a tour guide leading a stampede of visitors here. The only ones who make it this far away from Granada and Barcelona can typically be found in a queue outside the Oceanogràfic first thing in the morning, which is exactly why the best time to go is later on in the day. Despite its somewhat under-the-radar status, Valencia is one of the most beautiful Spanish cities. Its Old Town is full of narrow streets criss-crossing through a mix of architecture from across the centuries. The market, one of the oldest in the country, sells a wide range of fresh produce and local delicacies. Our top tip is to try the dozens of varieties of ham and stock up on your favourite snacks for a picnic later on in the day. Once you've purchased everything you want and are ready to move on, exit onto the Plaça del Merkat and pay a visit to the UNESCO-listed Lonja de la Seda across the street, which is free to enter. This grand Gothic building once functioned as a Silk Exchange. 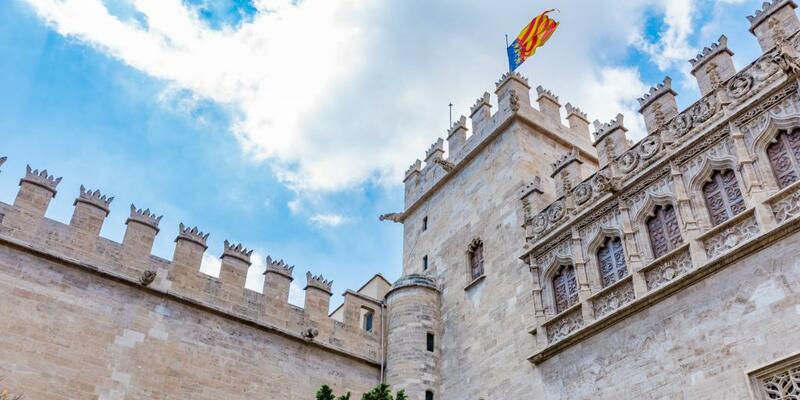 Inside you'll see beautifully decorated walls, floors, ceilings and carved columns indicating the power and wealth of Valencia in the 15th and 16th centuries. It's fascinating to see the sheer difference between the two historic trading hubs only yards away from each other. 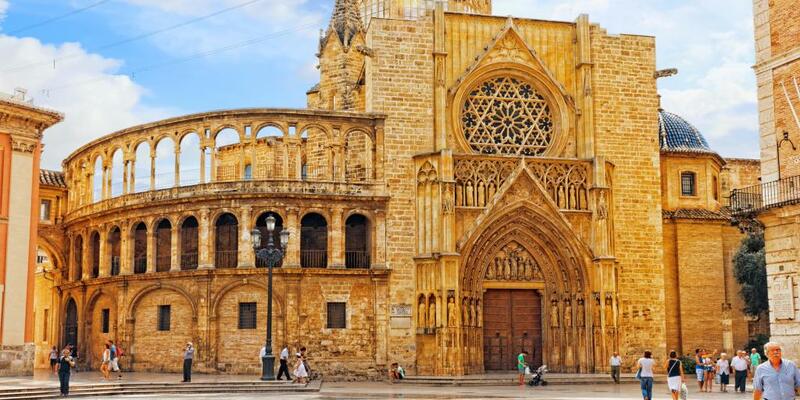 To round off the morning, walk the short distance towards the Valencia Cathedral. This beautiful and - to a degree - austere structure can be somewhat tricky to find, as it's closely surrounded by buildings on all sides. The Cathedral is known for holding the most likely true Holy Grail - the cup from which Jesus drank at the Last Supper. We'd highly recommend you pay the €2 to climb up the Cathedral's tower, as the views that open up over the city and the busy harbour are truly stunning. It's quite a walk to the top (205 steps), so make sure you've done your stretches before you make the attempt. You can even plan the next leg of your road trip through Spain as you look towards the hills in the distance! The Cathedral is only a stone's throw away from the Jardín del Turia. This vast green belt around Valencia's Old Town used to be a river until the source was diverted following a flood in 1957. Today this park has everything from a roller skating park to football pitches and large chess sets. This is exactly why you bought the picnic ingredients at the market earlier on in the day. Not every part of our Spain road trip has to involve driving, so a stroll is in order. 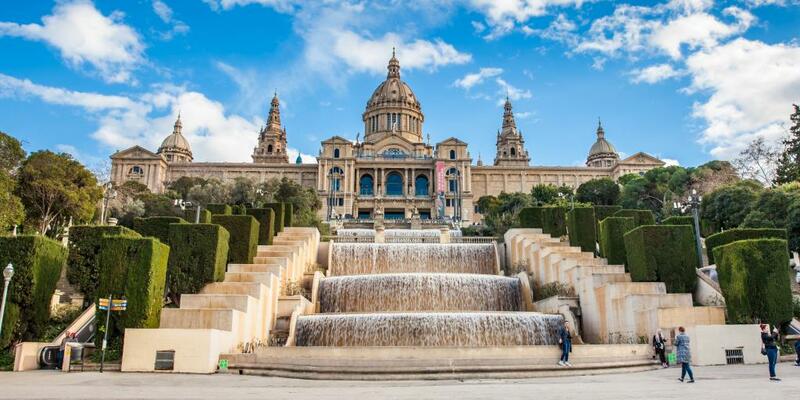 The gentle walk down to the Ciutat de les Arts i les Ciències will take you around 45 minutes, so you'll be able to pick the best spot for lunch on your way. The park's chilled out vibe, away from the humdrum of the city, combined with the smouldering Valencian sunshine will make for a great meal alfresco. 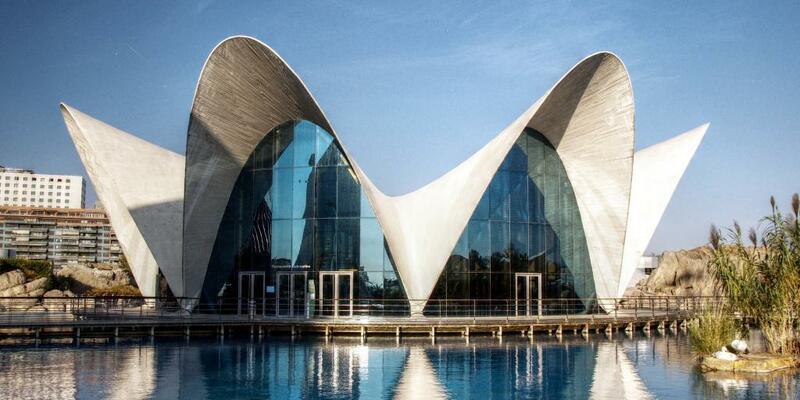 The Oceanarium is located on a large and relatively new site called the City of Arts and Sciences. The entrance is easy to miss as it is relatively small, with almost the entire structure buried beneath the ground. Tickets are expensive but well worth it, as this is one of the best and largest marine parks in the world. A major highlight of the attraction is a long tunnel that takes you through a tank, with various species of shark swimming alongside swarms of multicoloured fish. Dolphin shows are held regularly, so check the schedule when purchasing your ticket. Closing times vary, with doors shutting at 6pm during the winter and as late as midnight during the summer months. Where to go for dinner in Valencia? Your best bet is to head back into town and go towards the Plaza del Ayuntamiento. There is a very broad selection of restaurants in that part of the Old Town, with a large number of them specialising in the local specialty - fresh fish. Of course there are other options around, but you would be doing yourself a real disservice if you do not try a good fish restaurant in Valencia. The drive down from Valencia to Granada is almost a mini Spain road trip in itself. It involves following the coast south to Alicante, before heading west and going over the snowy peaks of Sierra Nevada to Granada on the other side. This may sound like an ominous route, but it's actually surprisingly manageable. Once you leave Benidorm in your rear view mirror (it's really not worth stopping for), and head past Murcia, you will suddenly notice an eerie silence. Given that the next 70 odd miles are pretty much an empty desert on a mountain plateau, nobody other than you seems keen to drive along this route. This complete absence of other people is perfect for a relaxing drive in some of Spain's most fantastic scenery. Contrary to any fears you may have had, the road is straight and great for driving. The snow-covered mountain peaks form a gorgeous backdrop, and you're likely to have the road almost to yourself all the way there. Going on a Spain road trip and spectacular mountain views was maybe not the obvious association, but there are few things better for a relaxing drive. Now we obviously do not condone speeding, but you're guaranteed to be pleasantly surprised by how quickly you get to Granada - just be careful to stay within the speed limit for the two speed cameras on the way. They're clearly marked by three separate signs, each indicating exactly how many metres separate you from a €400 speeding ticket. We know that you might have already had more picnics on this trip than you did over the course of the last decade, but we promise that this is the last one. Every now and then you'll come across a rest area by the side of the road which often coincides with a Mirador - a great view of some beautiful landscape. Take your pick of the pit stops and park up to have your lunch at one of the wooden tables designed exactly for this purpose. 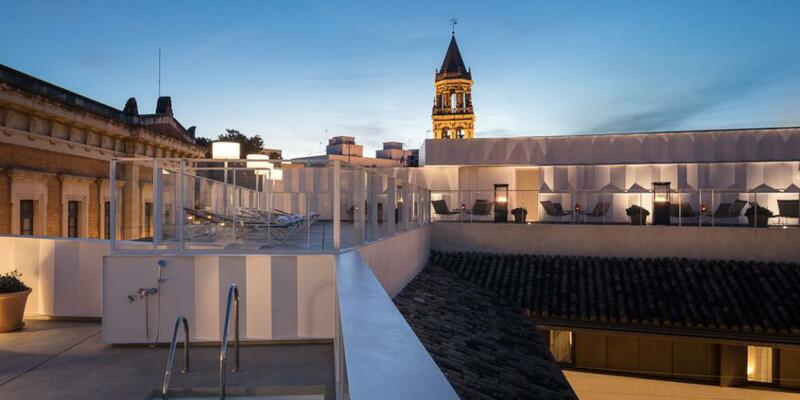 If you want to stay in central Granada, at the heart of the action, head to the boutique Hotel Palacio Santa Ines. Tucked away in a narrow street in the historic centre, the Hotel Palacio de Santa Ines consists of two revamped 16th-century buildings designed in the traditional Mudejar style. 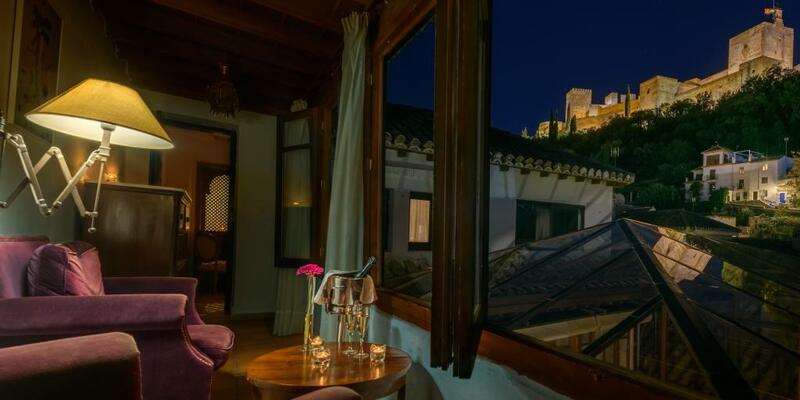 With its tranquil inner courtyards, lovely spacious rooms and super convenient proximity to the Alhambra fortress and the Granada Cathedral, it's the perfect place to rest for a few nights. The only issue with staying in central Granada is parking. Luckily, the hotel has thought about your Spanish road trip needs and has partnered up with two nearby public car parks, who offer a special rate just for their guests. Simply park your car and bring your parking ticket to the hotel (they'll even reimburse you for a cab ride if the car park is too far to walk). The hotel will stamp your ticket with a lower daily rate (€19.50 for 24 hours). Simple as that! After dropping off your bags, go out to enjoy the evening in this awe-inspiring city. We recommend a walk around the compact town centre, which is rife with cheap and cheerful tapas restaurants. For a cosy, relaxed option, head towards Plaza de las Pasiegas. Here you will find a quaint and unassuming little restaurant called Rollo offering a number of quirky dishes. Our tip? Try the crunchy pancakes made with tiny prawns... delicioso! Spain has culture in abundance, so you simply can't ignore it! As one of the most famous and recognisable tourist attractions in Spain, the sprawling Alhambra palace is a symbolic icon of the country. 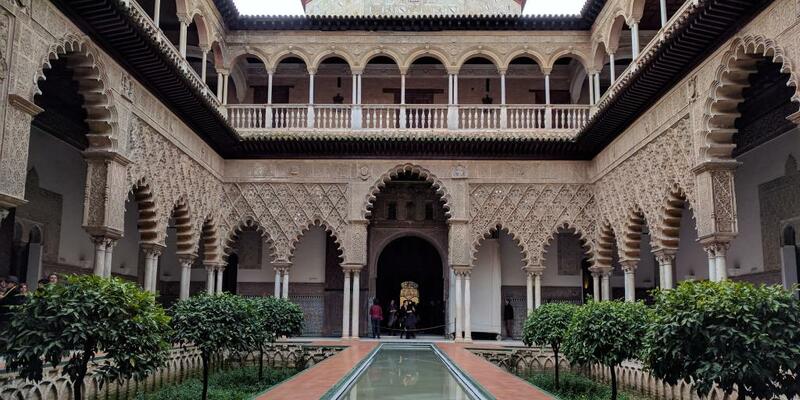 It's positively enormous, so you'll need almost an entire day to see all the various sites around this old Moorish palace complex. 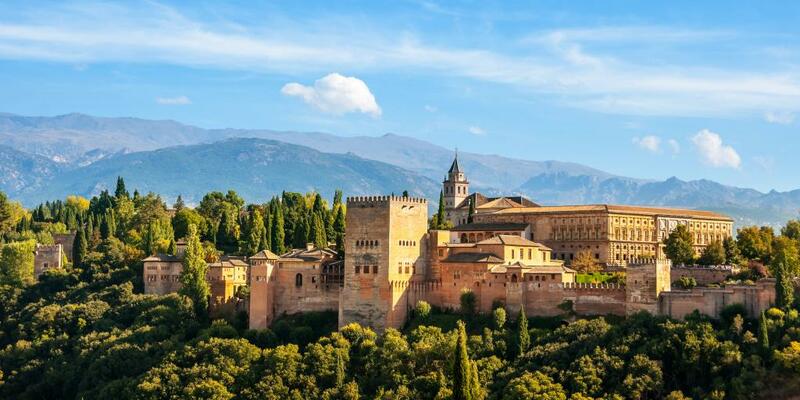 Spain road trip top tip: Be sure to book your tickets ahead of time (see the official Alhambra website for details) as during peak season the limited daily allowance can be sold out weeks in advance. You can't miss out on visiting the Alhambra. There are buses that can take you to the Alhambra entrance, but the walk up the hill is not strenuous and will make for a pleasant 20-minute stroll. Start at buy buying an ice cream on the corner of Plaza Santa Ana, where you'll find flavours ranging from marshmallow to kiwi fruit, and head up the Cuesta de Goméres through the park at the foot of the Alhambra walls. Once you've made your way to the Alhambra's main entrance at the far side of the complex, head right past the queue of ticket hopefuls to one of the yellow machines, insert the card used in pre-booking, and walk straight in. Pay attention to the time you selected for entering the Nasrid Palaces and be there around 25 minutes early to join the queue. 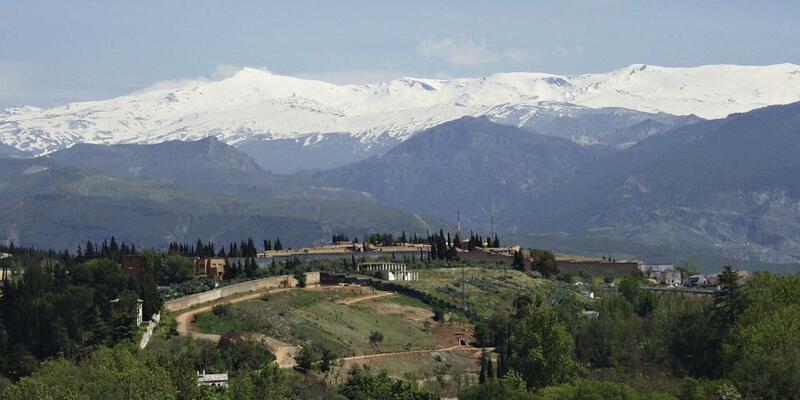 Other than that, take your time to explore the various sights and take pictures of the sprawl of Granada below you, with the majestic Sierra Nevada mountains in the background. Spend your time relaxing in the evening. If you want a taste of typical local food, head for Calle Navas, right in the centre of the Old Town. 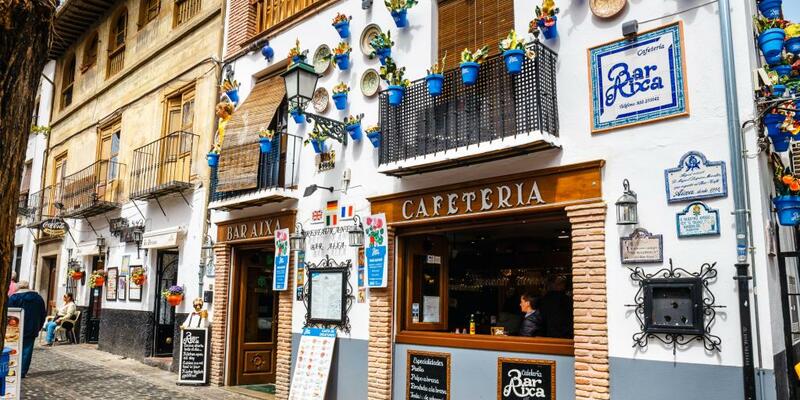 This narrow street is home to dozens of small family-owned restaurants serving all manner of Andalucian and general Spanish cuisine. The tables in the street are great as the cool breeze and night sky will are a perfect compliment to your bottle of Rioja. You will probably have tried a lot of tapas on this road trip through Spain, but Granada is known as the city of free tapas. This means you can eat very cheaply if you play your cards right. Most restaurants will give you a free tapa for each drink you order, with each tapa increasing in size as you go on. To get the most bang for your buck, order a caña of beer (small glass) as opposed to a tubo (big glass). You'll finish the beer quicker, which means more tapas! Your second day in the city can be spent wandering around the medieval streets and seeing more of the 'real' Granada. There are a number of distinct areas, with the west part predominantly devoted to typical high street shops. The area around the Cathedral has a large number of restaurants, so study the menus on your way around to pick out your evening meal. The north side of the Cathedral has a large spice stall offering every spice you've ever heard of and then some - this can be an attraction in its own right! Once you're done smelling the various beans and roots, visit the Cathedral itself and the adjacent Capilla Real. 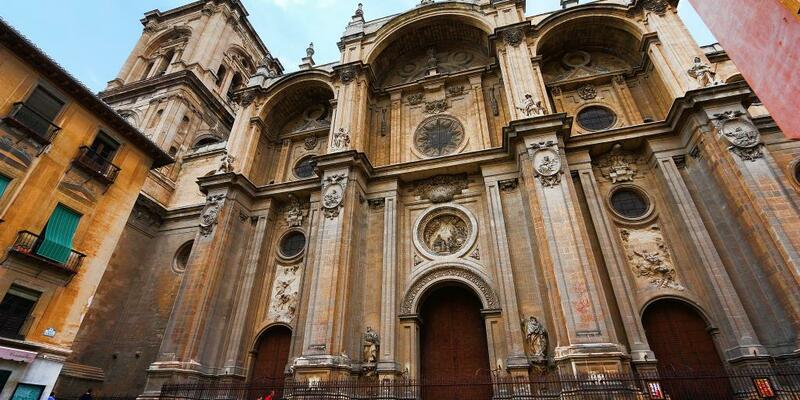 These grand buildings are an archetypal example of southern Spanish church buildings - rich in history, with elements of the Moorish culture making their way into traditional European architecture. Once you've done your sightseeing, head up the Calle Reyes Católicos towards Plaza Santa Ana - the town's main square, located directly beneath the Alhambra's walls. Pay attention to one of the city's highlights: the green man traffic light at all pedestrian crossings. This green man is like no other, with a very unique moonwalk impression indicating when it's safe to cross the road. From Plaza Santa Ana, walk past the Church onto the Carrera del Darro. This street runs next to the river Darro, which is home to a large feline colony that spends its time roaming through the shrubs. A little further along is a small square to your right lined with restaurants that offer a great opportunity for lunch. Take a break from tapas by ordering the fritto misto - a selection of various battered fish and seafood. Next stop: the Albayzín, the quarter that runs uphill from this street on the opposite bank to the Alhambra. Take your time to wander through this ancient part of Granada, which is home to a vast number of small artisan shops selling everything from unusual metal work to traditional Moorish clothing. If you head all the way to the top, the Mirador de San Nicholas is a great place to take in the views and snap some stunning shots of the Alhambra. Once you have retrieved your car after breakfast, it is time to plough on with the Spanish road trip and make the short journey towards Malaga. Once again, you will find mostly empty roads until you get close to the costas. You will know you're close to the city once the road suddenly dives down at a steep angle, and lush green vegetation appears in place of the arid rocky landscape. As you descend towards the sea, you'll notice that the weather on the coast is mild in comparison to the hot inland Andalucia. 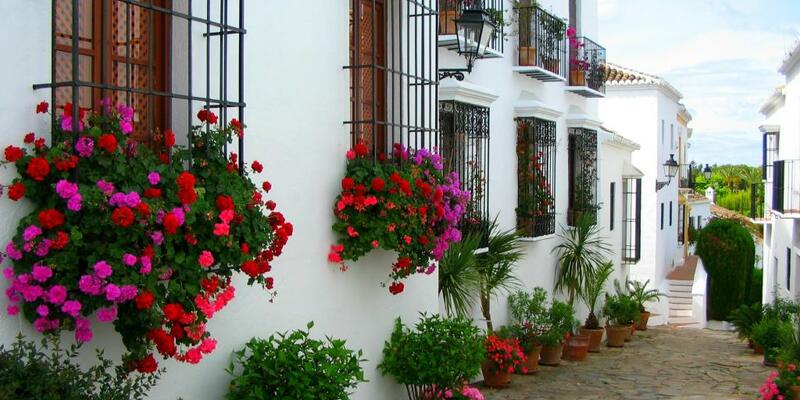 If you don't notice this the first time round, you definitely will when you visit Cordoba. As you're passing right through Malaga, you might as well stop and have a wander. The two forts overlooking the city are the best place for a quick break. The Alcazaba is the best preserved Moorish fort in all of Spain, and it sort of feels like the Alhambra's little cousin. The Castillo de Gibralfaro is set slightly higher and also offers brilliant views of the city and the Costa del Sol. Spend a few hours in the city of Malaga itself. It may have a reputation as stag do-central, but this historic settlement is worth seeing in its own right. The city centre is a tangle of cobbled streets, secret nooks and crannies and countless restaurants surrounding the Malaga Cathedral. 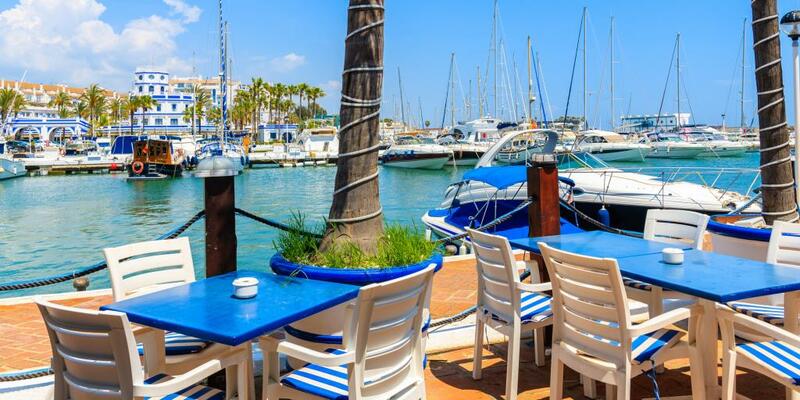 With tourists often passing Malaga by in favour of the Costa del Sol's many other attractions, take advantage of the atmosphere and treat yourself to lunch overlooking the marina, with the sun shining above you. Getting to Benahavis is relatively straight-forward. There are two main roads running along the coast - the toll road AP-7 and the free A-7. The free road is more than good enough and takes a much more scenic route along the coast, which we would highly recommend for going up and down the coast. It also benefits from frequent exits, allowing you to stop along the way when you see a spot you like the look of. 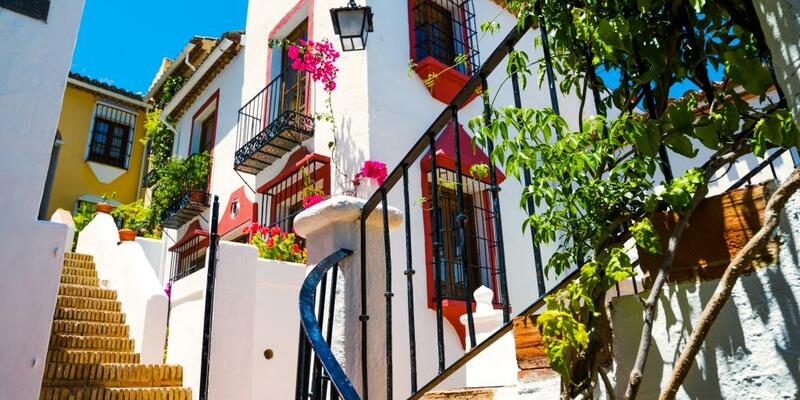 The village of Benahavis is set in the Sierra de las Nieves mountains rising up from Marbella. With only a 10-minute drive separating you from the beach, you benefit from staying in the culinary capital of the Costa del Sol, while also getting away from the huge package holiday hotels in the large resorts down below. The peace and tranquillity will make for an enjoyable few evenings, and the choice of great food will make you want to come back time and again. The best hotel to stay in Benahavis is the quirky Amanhavis right in the centre. Set around a traditionally designed courtyard, each room has a unique theme around medieval Christian and Moorish influences. There are a lot of steps in-between the rooms and you can have dinner in the best restaurant in town in the court yard by the pool! You can park your car for free along a couple of streets 50 yards down the hill from the hotel. Day 9 is perfect for seeing what the Costa del Sol is all about so this is the day your Spanish road trip takes you up and down the coast. After a late lie-in, get in the car, put your windows down (and roof if you've got a convertible) and head down towards the sea. Turn east along the coast and make your way past Malaga to the town of Nerja. This beautiful town takes a prime spot on the Andalucian coast and is steeped in history dating back to pre-Roman times. 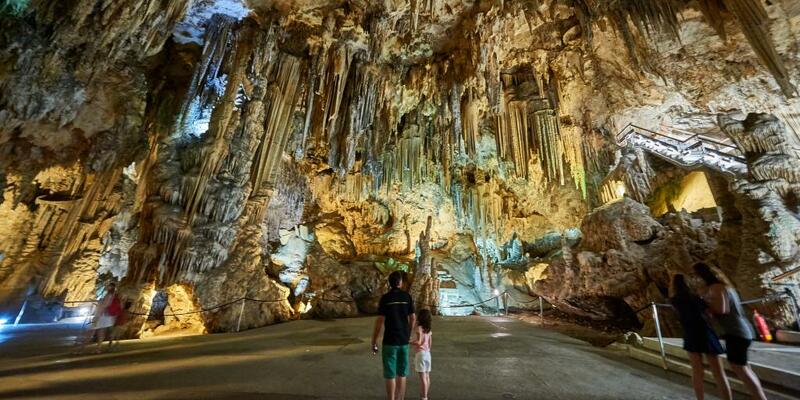 Wander inside the ancient caves. One of the main sights is a set of caves discovered in 1959. The Nerja Caves were home to some early humans and neanderthals, with skeletal remains found throughout the linked caverns. Visitors can observe archaeological finds inside ranging from natural rock formations to prehistoric fossils and paintings. The town of Nerja itself is a charming spot to get out and explore. Be sure to head to the elevated Balcon de Europa - a viewing platform built on top of the Nerja cliffs - for sensational views of the coast. Two old cannons standing here remind you of the town's historical past, and the benches are a great place to enjoy an ice cream. A late lunch is a good idea in Andalucia, as dinner is traditionally eaten later on in the evening. 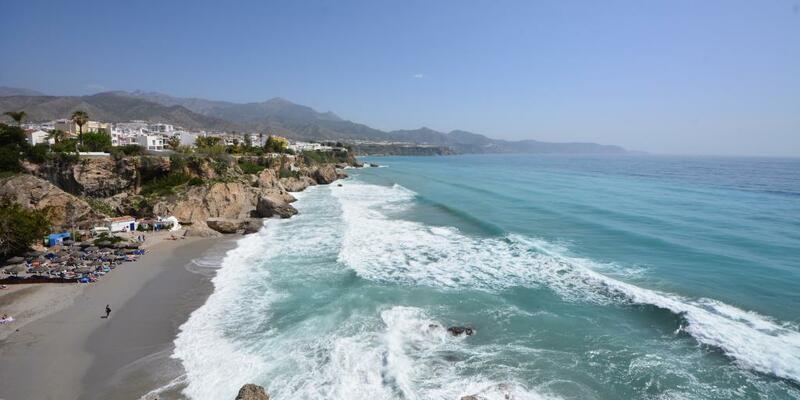 Once you've seen enough of Nerja, hop back in the car and make the return trip down the coast to Marbella. No road trip in Spain is complete without driving up and down the Costa del Sol so head on right back along the beachfront. Getting back to Marbella will take around an hour and a half. This famous resort is well-known for its beaches and countless hotels, but the Old Town is great for a midday stroll. Park up underneath Paseo de la Alameda and cross the road to get into the historic part of town. There is a broad selection of restaurants with tables on every square, so take your pick and have some lunch here. Some of the restaurants do amazing sizzling prawns if you fancy a bit of seafood. A number of shops sell everything from furs (no, really) to beach accessories. After having passed through Marbella, it's time to head to Puerto Banus only minutes away up the coast. This is Costa del Sol's playground of the rich, with ridiculously expensive yachts in the harbour and an equally elaborate display of supercars parked next to them. Top tip: Restaurants and shops here will sting your wallet, and the parking charges are insane. If you do want to grab some lunch, head to the west end of the marina (the one with the biggest boats) - there are a couple of spots that are less busy with reasonably priced menus. Here's another insider tip for your road trip in Spain - park up for free at La Playa Fantastica - the closest beach to Puerto Banus. Come back out of Puerto Banus and turn right onto the A-7 motorway towards Malaga. Stay right and take the right turn onto the N-340 towards Marbella. As you come off onto the N-340, take the first turning right onto a narrow lane running towards the sea, then take the second street on the right and follow it down to the beach. You can park your car here for free for as long as you like and have access to one of the best beaches in the area with a great beach bar. 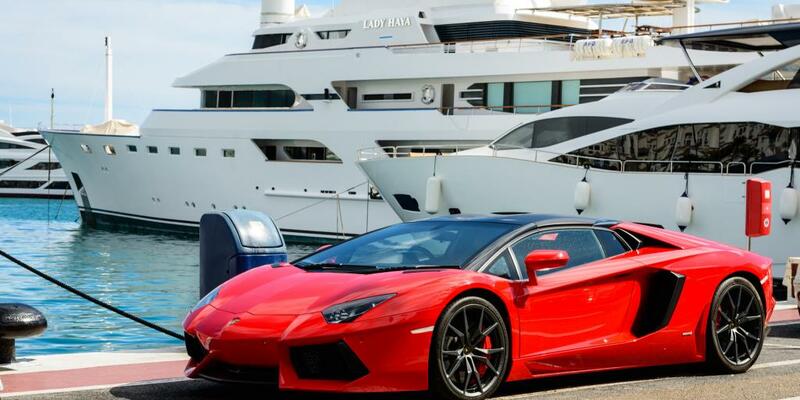 Puerto Banus is a mere 200 metres away, so you can stroll along at your leisure to have a closer look at how the other half live and inspect the exotic automobiles. Spend the afternoon and early evening relaxing on the beach with the odd cocktail thrown in before making the 10-minute trip back up into the seclusion of Benahavis. Freshen up in your hotel room before making your way through the narrow streets to select your restaurant for dinner. Note that with many visitors coming from resorts up and down the coast, going out a little later can mean a less busy and more relaxed atmosphere. Today shall be the day of the Mirador. This Spanish word encompasses everything we like about driving up into the Andalucian mountains, as there are frequent labelled roadside stops allowing you to take in the magical views. You could break tradition and set off on this leg of your Spain road trip before having breakfast to get down to Estepona. This relatively quiet resort town has a number of cafés and bars on the seafront where you can pause and indulge in a couple of waffles covered in chocolate sauce. Be sure to fill up the car before heading off the main road and up towards Casares, as petrol stations off the coast are few and far between. 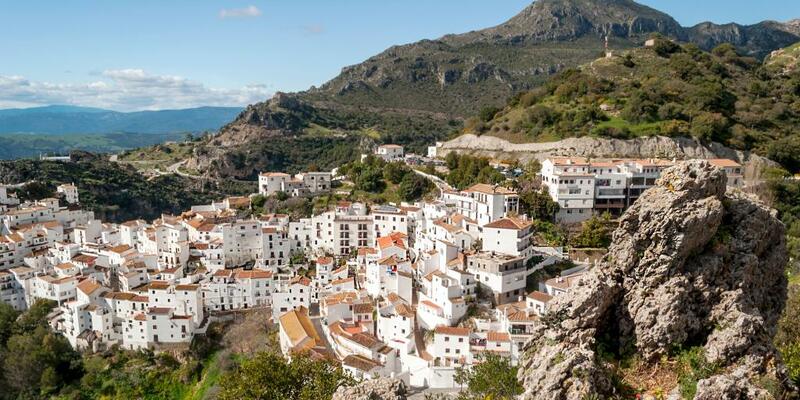 Casares is pretty much postcard-perfect, with neat white houses built into the mountains. With a population of just a few thousand people, the town is definitely small, but it has a surprising number of nice restaurants and hotels to choose from. When you arrive in Casares, park your car and head towards Plaza de España, which is the focal point of this small community. To get some great views, make your way up the narrow street next to the Virgin del Rosario Chapel and keep heading uphill until you reach an old fort at the top. If you walk a bit further along, you will come to a viewing platform set above a sheer cliff face. From here you'll likely see a number of falcons and kestrels up close and personal - and the views of the town below are simply spectacular. Once you've got your snaps and feel that you've seen all there is to see in Casares, it's time to hop back in the car and make your way further inland to the majestic town of Ronda. 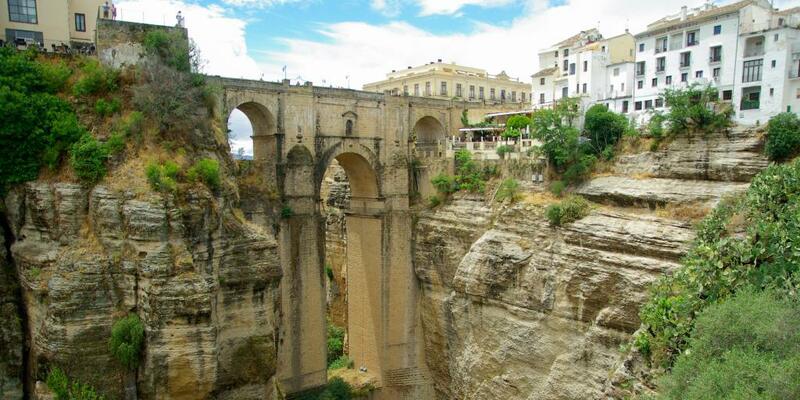 This unique Andalucian town is placed on top of two plateaus with sheer rock cliffs down to a river valley below. The scenery is incredible from every angle and the town itself is a real marvel too. Parking can be troublesome, so grab any spot you see once you get near the centre. Large underground car parks are available further out, but are a fair walk from the centre - we like the Parking Martinez Astein - it's about 10 minutes' walk down the main shopping street, but easy to get in and out of. The main attraction of the city is the Puente Nuevo - the newest and most striking of the town's three bridges across the Guadalevín gorge. 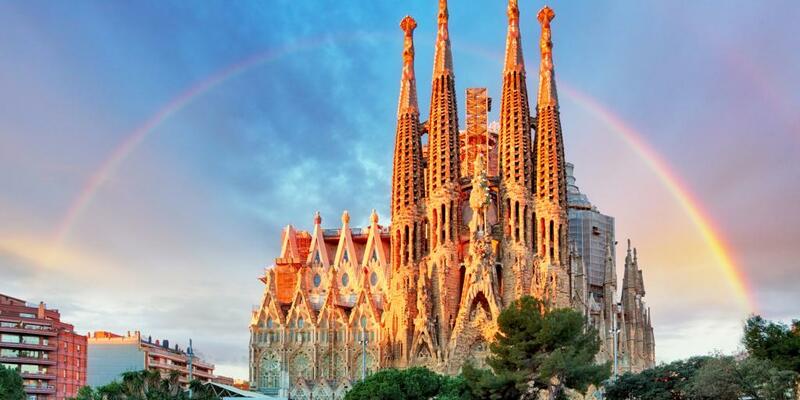 This unbelievably beautiful structure took 42 years to complete and is one of Spain's most famous sights. The view that opens up from the top of the bridge is impossible to describe and pictures do not do it justice - it's just one of those places that you have to see for yourself. If there's one place that makes your Spain road trip worth it, this is it. Once you've gotten over the quiet gurgle of the river below and the amazing views, it's time to pay attention to the rest of the historic town and there's definitely a lot to see. The ancient cobbled streets are home to a number of museums and a bullfighting ring which you can visit. There are also plenty restaurants that are perfect for a late lunch. A few restaurants on the south side have rooftop or terrace seats with views over the gorge and the bridge, which can make your meal a lot more romantic. Once you feel the need to get back and relax by the pool through the late afternoon, it's a comfortable drive along a stunning road through the mountains, which comes out almost directly at Benahavis. Your last night on the Costa del Sol ought to be celebrated with a couple of cocktails and a fabulous dinner in the calming sea breeze. Our Spain road trip continues with a spectacular drive along the coast, a quick detour into Gibraltar and a day full of amazing views. Driving from Benahavis to Gibraltar is fairly straight-forward until you get to the narrow streets of La Linea de la Conceptión on the Spanish side of the border. Here, you will undoubtedly join a huge queue waiting to enter. Many people choose to park up and walk in, but with the main part of town fairly far down, we'd recommend waiting in the queue which moves along swiftly enough and driving through. Make sure that your passports allow you visa-free entry to Gibraltar as it is outside the Schengen zone. There are two distinct parts to Gibraltar and you can choose how to split up your morning. The main town is a throwback to England of a few decades ago, which is a very unique cultural experience. You will notice a lot of expensive cars and shops selling watches and jewellery for the wealthy beneficiaries of Gibraltar's favourable tax system. The town itself, however, is more shabby chic than flamboyant, complete with iconic British red phone boxes dotted around. 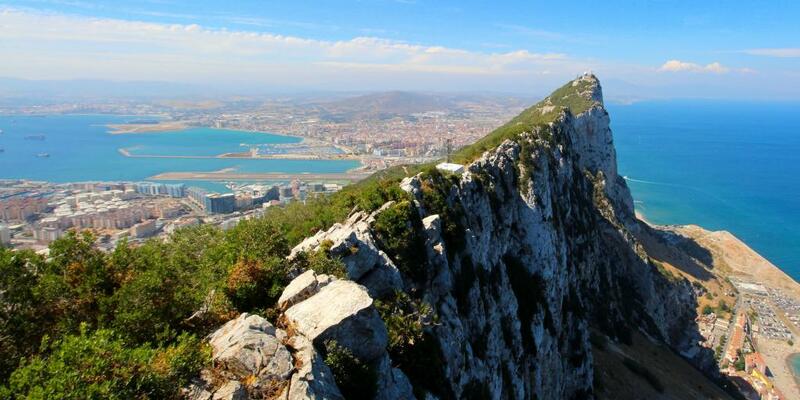 For the more adventurous types, the Gibraltar Rock is a popular destination, with a cable car taking you to the top. At the highest point you'll find the remains of an ancient Moorish castle, with a series of linked tunnels below called the Galleries. Look out for the enterprising monkeys that populate the area and are particularly keen on anything shiny they can get their hands on. On your way up to Seville, you absolutely must stop off at Cadiz. This radiant city is the oldest in modern Europe, with history going far back into pre-Roman times. The main part of the city is located on a thin strip of land stretching out to sea, with a stunning yellow stone Old Town centred around a Cathedral. 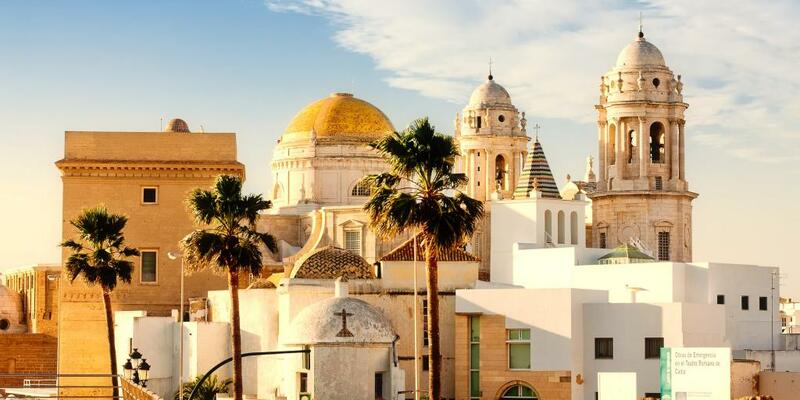 Oddly enough, Cadiz attracts virtually no tourists whatsoever, so you are free to roam at your own leisure and visit some genuine Andalucian shops and cafés without having to distinguish them from tourist traps. We highly recommend visiting the Cathedral and climbing up the tower to get a great view over the town and surrounding water. 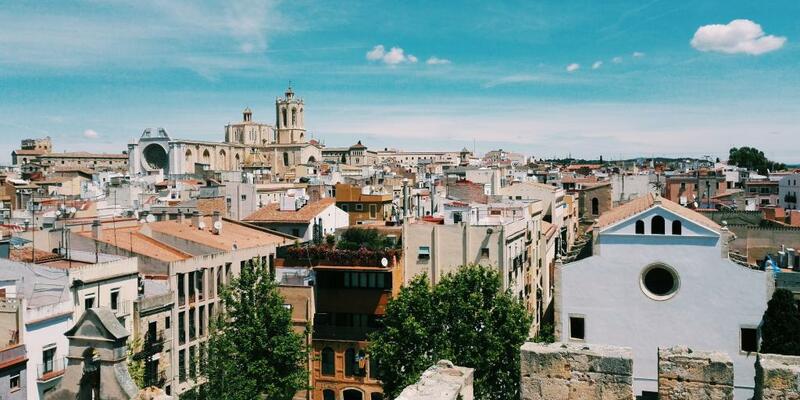 Spanish road trips tend to involve climbing huge cathedral towers in every city you visit, but it's really worth it! 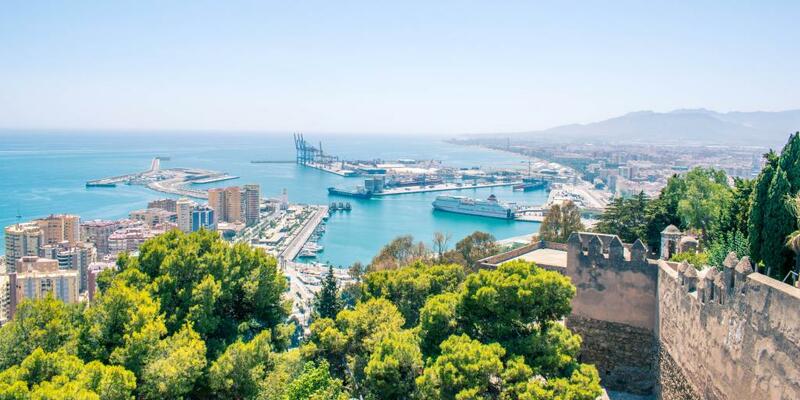 The Panorama from the top of the Poniente will leave you breathless and also give you the opportunity to plan your route towards the Santa Catalina castle. The walk there is along a narrow route that comes off the beach and heads several hundred metres into the sea, towards the fort built to protect the city from English attacks. While you can't enter the venue, which is used exclusively for social events and concerts, the walk itself is a great way to chill out in the cool of the Atlantic waves, get a great view of the city, and have a swim in the locals' favourite relaxation spot. The final stint of day 11 of your Spain road trip is getting to Seville. This will take you just over an hour and you should comfortably arrive in time to unpack, find a place to park your car and scour the surroundings for a great restaurant. We would highly recommend finding Calle Mesón del Moro for some of the best restaurants in town, although beware that some of these may be fully booked on Friday and Saturday nights. Our pick for the very best place to stay in Seville is Posada del Lucero - an elegant 16th-century inn that's been refurbished with all the modern amenities you could possibly want. This hotel is situated near all the best shopping streets, just north of the historic sights and right next door to Metropol Parasol - the iconic massive wooden structure that locals have nicknamed "the Mushrooms". The stylish minimal exterior of the hotel contrasts with what you'll find inside: two beautiful courtyards flanked by marble columns and sleek arched doorways. There's also an amazing roof terrace with a plunge pool and a bar where you can enjoy drinks with a view. Navigating the streets of central Seville can be the toughest of this Spanish road trip The hotel doesn't have its own parking, but there is a decent public car park nearby just one block up the road so head there as you drive in. 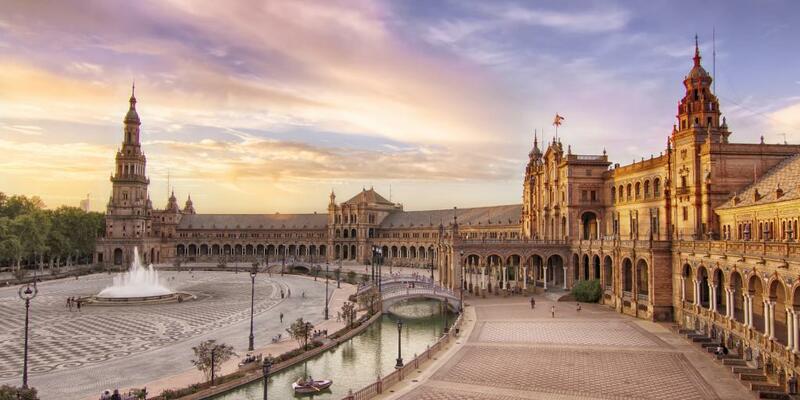 The grand architecture and wide streets of Seville are more reminiscent of major European capitals than Andalucia, giving the city a distinct allure. There is a lot to see around town, so get yourself out of bed at reasonable time and head down to Plaza de España. This vast open space was built in the 1920s in the middle of the Parque de María Luisa in time for the 1929 World Fair. The large exposition building is now chiefly used for Governmental functions, but you can still go up the grand stairs for a better view. The square itself is a semi-circle with fountains in the centre of a large paved area. Be sure to check out the perimeter of the Renaissance-style square, which is lined with Province Alcoves named after each of Spain's regions, complete with a mosaic depiction of each province. The Alcazar is probably Seville's best-known attraction, famed for its unique fusion of Moorish and Christian architecture. Originally built as a mudejar fort, it has been converted into a Royal Palace and comes complete with stunning internal courtyards, romantic baths and grandiose apartments. 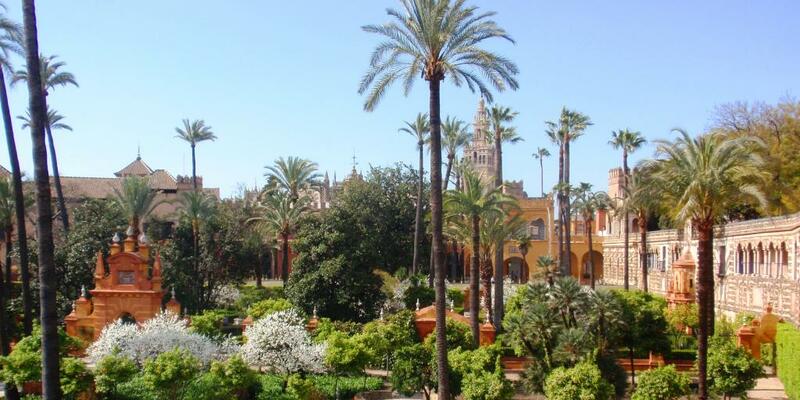 Along with the Jardines Reales Alcazares gardens around the back, this palace is guaranteed to leave you speechless. 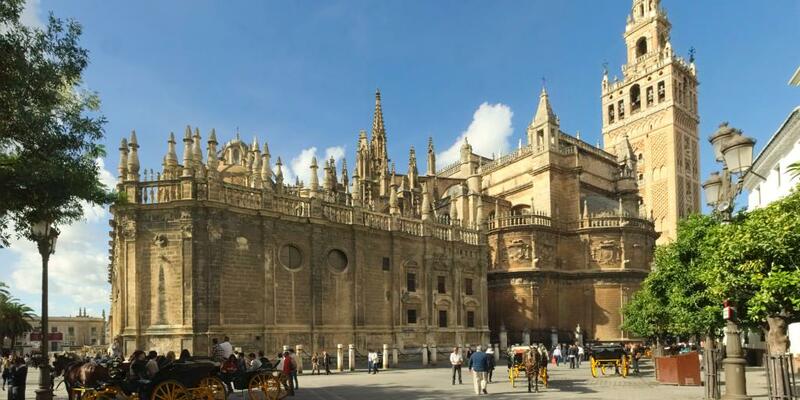 Last but not least on your long excursion around the city is the Seville Cathedral. As it's only a few yards away from the Alcazar, you might want to have a spot of lunch before going inside. We would recommend crossing to the other side of the Cathedral square and stocking up on traditional local black squid paella on Calle Argote de Molina. The cathedral itself is a masterful example of Spanish Gothic architecture and is the third largest church building in the world. The interior's opulence has traditionally been a symbol of the wealth and power of the Catholic church, so you simply must go in and take in the sight for yourself. Note that much of the altar and surrounding parts were completely rebuilt at the turn of the 20th century after the main dome collapsed in the 1888 earthquake, but despite this, the Cathedral remains staggeringly beautiful. 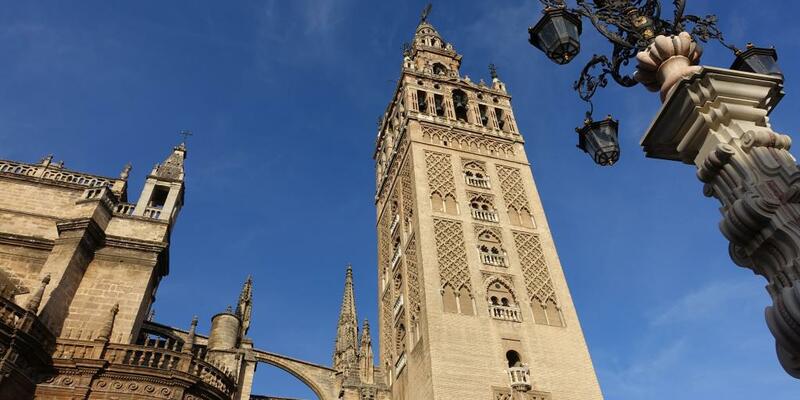 Be sure to climb up the cathedral's famous main tower, the Giralda. On we go with the last leg of our Spain road trip. If you thought that Seville is hot during the summer months, wait until you get to Cordoba. The city boasts Europe's hottest summer climate, and you can expect to feel it hitting you square in the face as you get out of your air-conditioned car. The city centre is fairly compact, so your best bet is to drive towards Avenida de la República Argentina/Paseo de la Victoria and park on the street. 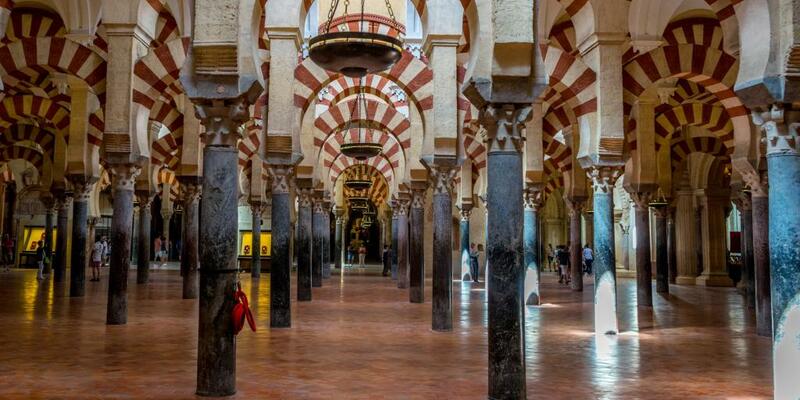 The first stop on your Cordoba tour is the Cathedral of Cordoba - aka La Mezquita. This stunning piece of architecture is probably the most impressive sight on this road trip through Spain. This unique cathedral in the centre of the city was built on the site of a grand Moorish mosque. When it was constructed, La Mezquita defied tradition, incorporating much of the Mosque's design into the Cathedral structure. This melange of cultures reflects the history of Cordoba, which has been characterised by two religions living side by side for centuries. The ancient city of Cordoba is surprisingly unlike any of the other major cities in Andalucia. The ancient Moorish influences are considerably more evident here, the narrow streets, low-rise buildings and shops looking more like northern Africa than Spain. Be sure to pass through the Jewish Quarter to see beautiful white-washed houses set out in an impossible maze. Cordoba used to be Europe's biggest city in the early medieval period, and it was Spain's capital during the days of the Roman Empire. This vast historical importance means there are dozens of sights and museums to visit all around town. Many of these focus on archaeology, although there are other culture-based ones such as the Casa de Sefarad in the Jewish Quarter, where you can learn about Cordoba's Jewish community throughout history. At the end of your day out, hop back into the car and return to Seville for the last night of your road trip - Spain has been well and truly conquered. If you feel like treating yourself, Seville has plenty of outstanding restaurants. If you fancy some traditional local cuisine, look no further than the Eslava in San Lorenzo, which has the town's best choice of tapas. For something a little bit more exotic, try the Az-Zait - the food here is fantastic, but it is also one of the pricier options around. The last day of your stay is likely to be cut short by the need to get to the airport or get started on your drive back home. If you've hired your car in Barcelona, all major car hire firms have depots right by the airport, so make your way straight there. If you have a bit of time to kill before leaving, make sure you go and wander through Calle San Pablo and the surrounding streets for a bit of shopping and some great cafes. 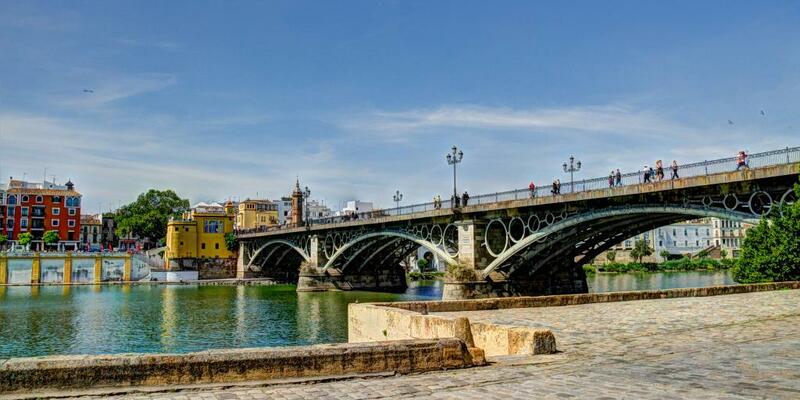 For one last taste of authentic Spanish life, walk across the Puente de Isabel II bridge and head to the large market on the right. Here you'll find a great choice of cured meats and other traditional produce. Pick up a couple of snacks and souvenirs to remind you of your lazy trip along Spain's Mediterranean coast! Almost all cities in Spain have a network of underground car parks right in the centre - don't be afraid to follow signs for the centre of the city and dip into one of the car parks to check out the sights. The motorways and dual carriageways in Spain are some of the best in Europe - the surfaces are typically very good, traffic is generally sparse and you can literally pay to go faster (speed limits are higher on toll roads)! To get all the details, read our Driving in Spain guide with a lot more about local rules, speed limits and general quirks. LazyTrips is an affiliate of Booking.com and receives commission for qualifying purchases.